59-year-old Natela Lazishvili gave birth to her first child in Batumi.The pregnancy was delivered by Caesarean section. The mother and her baby are feeling good. 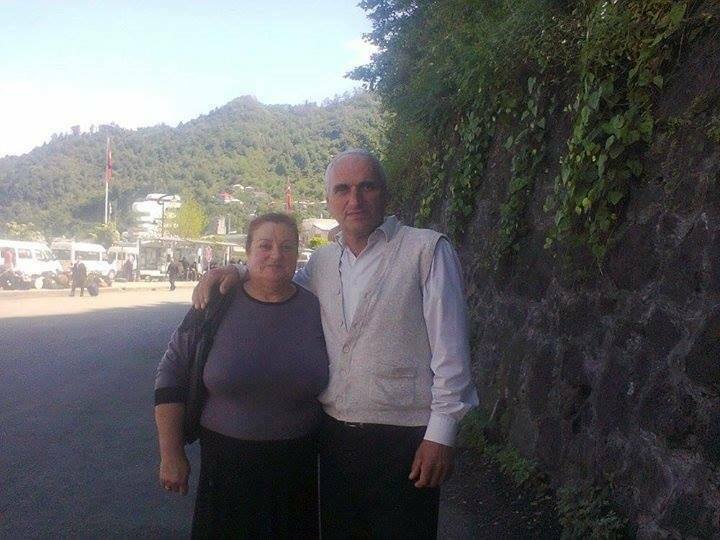 Natela and her husband, who is 61 years old, live in the village of Tskavroka, Kobuleti Municipality of western Georgia and ever since they got married 33 years ago, they have been desperately waiting for their first child. Last year, they decided to begin treatment, which proved to be effective and the woman got pregnant. After 8 months and 5 days Giorgi Lazishvili was born. Ambebi.ge has contacted the baby’s father, Guram Lazishvili. ‘We live in Tskavroka, in the house that was built by my grandfather. For all these years I was working hard to make these roots stronger. We make profit from our fruit garden. That means me and my wife needed nothing more but a child. We got married 33 years ago and thought about having a child right from the beginning We went everywhere, to Tbilisi and Batumi, for treatment, but everything was in vain. Last year we learned that a new Turkish clinic was opened in Batumi, where one Maiko Pursadze works. We had heard that she was a very good professional. So we went to see her. They analyzed everything beginning from fingernails and to the hair ends. Eventually they said my wife had a very healthy organism and she could give birth to a child. Less than a week passed and she got pregnant. She was under observation for the whole period of her pregnancy and everything ended just great. Today my wife took her child in her arms and her eyes were filled with tears. I cannot express the joy and happiness we’re feeling now’.